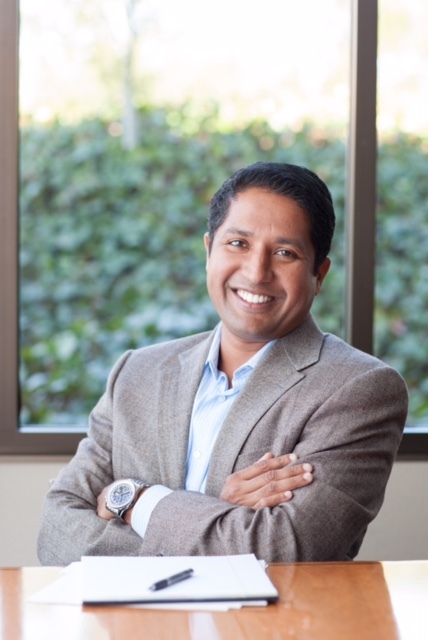 Venky Ganesan, managing director of $4.4 billion venture capital firm Menlo Ventures and current chairman of the National Venture Capital Association, is walking a political tightrope and trying not to fall off. The venture capital industry, financiers to many tech giants, relies on immigrant talent to launch startups, help them thrive and drive their continued success. Right now, that puts the industry squarely in the sights of a presidential administration whose policies are looking to curtail foreign immigrants from countries whose emigres have been pillars of the technology industry. Ganesan says the industry needs to take a deep breath and focus on staking out positions where it can begin to have discussions with President Donald Trump and his cabinet. Indeed, in its generically pro-business, pro-entrepreneur agenda, there’s actually a lot of common ground between the current administration and the venture capital community. Reducing corporate tax rates, repatriating money stashed abroad, increasing infrastructure spending, and encouraging investment in small business are all action items that the NVCA wholeheartedly supports. “We are in uncharted territory and we’ve got to figure out if we’ve got to take people figuratively or literally or both,” says Ganesan. Ganesan’s middle-of-the-road response puts the venture capital association somewhat at odds with a large swath of technology companies they once financed, which are staking out positions much further to the left. Ganesan wants the venture capital industry and the tech community to “help the administration understand the challenges of the executive order,” he said. It’s a much different stance from the one Mark Suster, a Los Angeles-based venture capitalist and the founder of Upfront Ventures, took on his own blog. Trump. In a week there is enough evidence to know that he truly is the narcissistic child and xenophobic race-baiter we saw during the election and that wasn’t just reality TV to get him elected. You should all take him literally. He has appointed Steve Bannon (ex head of Breitbart) to the National Security Council and the principals committee attending every meeting whereas the Director of National Intelligence and the Joint Chiefs of Staff are only invited now as required. Steve Bannon has said the media is “the opposition party” and “should just shut up.” That is precisely what one would say and do if his objective was to centralize government control, make executive decisions themselves, silence critics and do whatever he wanted. So it is now your duty to speak up. It is an obligation. “I don’t think that at the core of this Administration… this administration and its policies are not focused on creating a White America,” says Ganesan. It’s a simple issue. If people have food on the table and work to do, they’re not going to worry about who else is afforded the same opportunities. It’s when people don’t have enough on their own plates, says Ganesan, that they begin to look at their neighbors.